Now accepting applications for 2018-2019 school year for the Clarion staff and journalism class. Become part of Kennedy’s growing media team. Applications and information available in Room B-12. 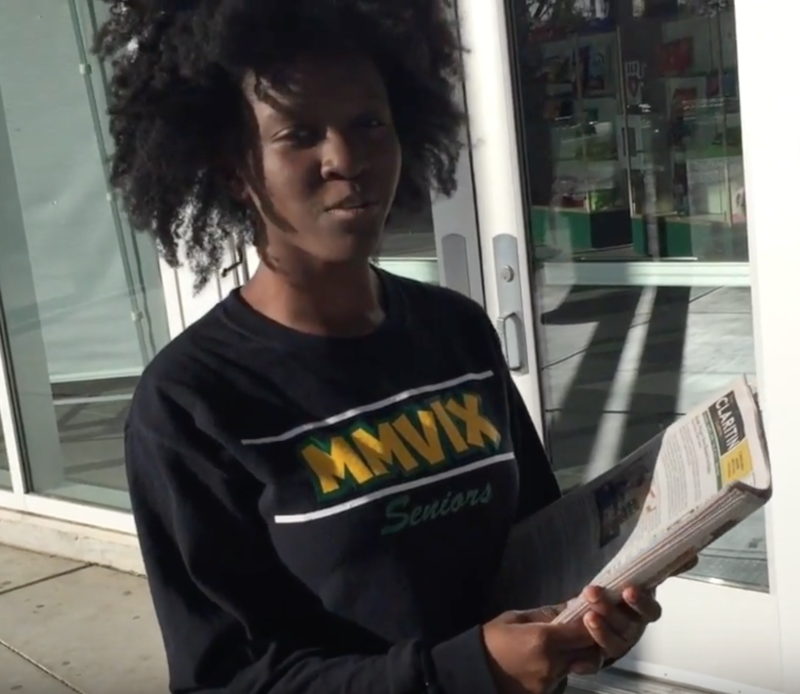 Senior staff member Sophia O’Neal delivers the April edition of The Clarion to the newsbox in front of the Kennedy Auditorium.